Our vision is to improve the quality of our communities workforce leading to the elimination of unemployment in Meigs County. Job Seekers have access to multiple tools to enhance their job search. The goal of WIOA is to increase participant employment, job retention, earnings, and occupational skill attainment for adults, dislocated workers, and youth. Meigs JFS has a state of the art OhioMeansJobs® Meigs County Resource Room program that offers assistance to individuals searching for jobs as well as to employers seeking to spread the word about employment opportunities. 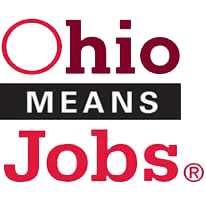 OhioMeansJobs® is a website that connects job seekers with employers. Meigs JFS can assist employers in meeting the changing needs of their business by assisting in the recruitment, training, and retention of skilled workers. PRC (Prevention, Retention, and Contingency) helps people to maintain their self sufficiency by meeting specific needs through special programs. Community Resources offer Meigs County job seekers a variety of resources. Meigs JFS unites all able-bodied individuals to positions that meet their skills and interests while creating a strong local economy. OhioMeansJobs® Meigs County would like to thank all the men and women who are serving or have served in our armed forces. One way we can show our thanks is by giving all Veterans priority of service with their re-employment needs. If you are visiting the OhioMeansJobs Center, please let our staff know upon arrival that you have served in the military, so we may better serve you in your training or employment needs. You may also visit OhioMeansVeteranJobs.com to post a resume, search jobs, find additional information or resources.